I am over the moon excited to offer a few of my items in all different forms including iPhone cases, laptop skins and tablet cases! 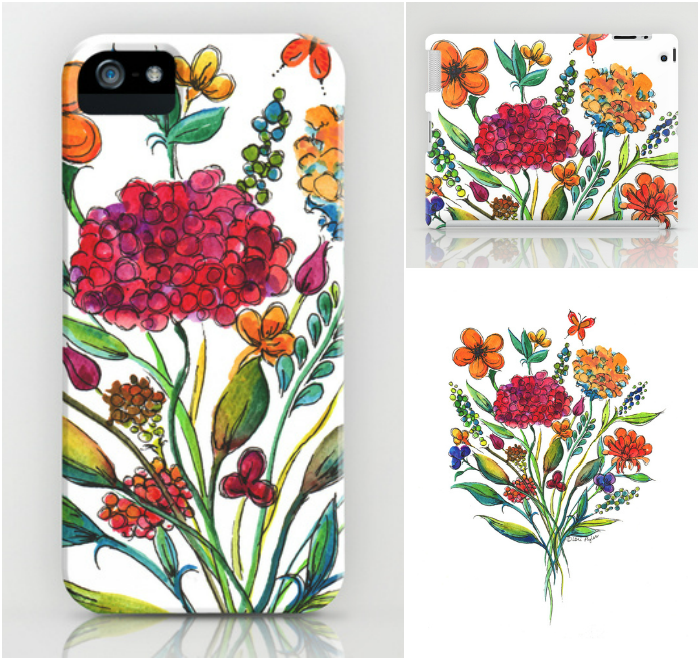 As soon as I went with Society 6, I knew that the spring floral would look fantastic as an iPhone or iPad case, as shown above. 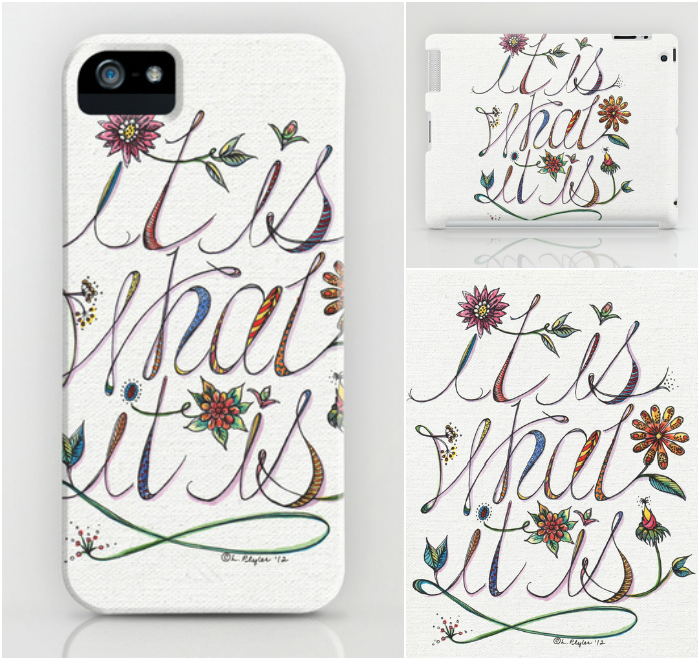 I did "it is what it is" some time back and knew it may not go as an art print but as a phone case, card or laptop skin? Absolutely. 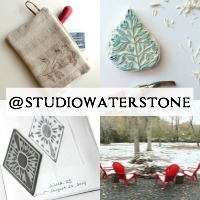 SPECIAL OFFER: Order one (or more) of my items now through May 11th and get FREE WORLDWIDE SHIPPING. Click here for more info and to order. Oh wow!!!!!! I absolutely love this! I've not heard of Society 6, so off to check it out. LOVE the floral iPhone case! I HAVE to have one! !